Create an alert. When you sign up for the EstateSales.net free Basic Subscriber plan, you can create an email alert for one item using their “Treasure Tracker”. 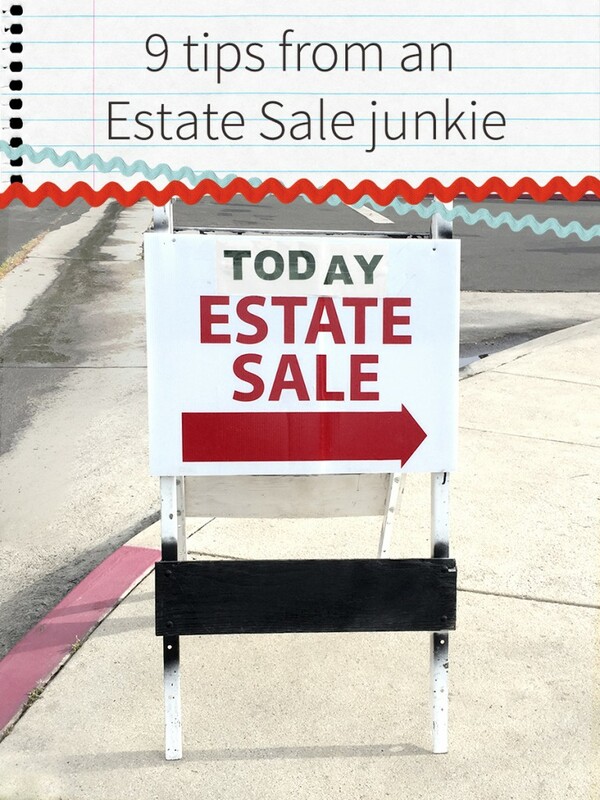 This can help narrow down the Estate Sales you should attend. You can also sign up to get email notifications about upcoming sales in your area. Show up on the first day, bright and early. This is really important, especially if you have your eye on a certain item, or the sale has rare items. 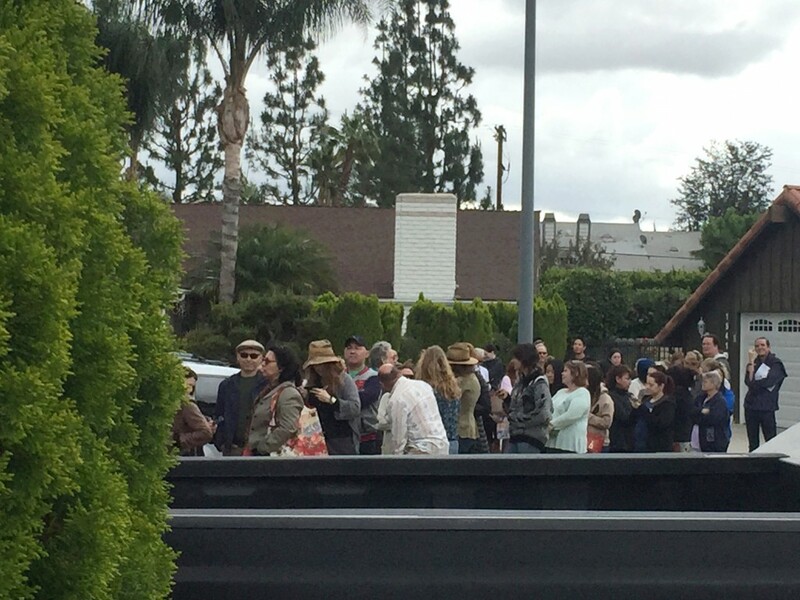 We get a lot of Old Hollywood memorabilia here in LA, and those sales get busy. Be early! These lines are no joke. Stagger your time to miss peak arrival times. If the sale starts at 9:00 am, and you are willing to wait in line for an hour, it’s better to show up at 7:55 am than 8:00 am. We are creatures of habit, so if you come just a little earlier than an hour early, you are beating the flood of punctual people. Check the sale description. Is there a list, or is it first come first served? If there is a list, be there as early as you possibly can. You can put your name on the list (bring a pen, don’t rely on someone lending you theirs) and go hang out in your car until a half hour or so before, when people start to line up. I know some people that live close to a sale may go early enough (like when it’s still dark out) to put their name on the list, then go home for some more shut eye. If there is no list, bring a box or bag marked with your name to hold your place in line, in case you need to run to your car or step away for a second. If there aren’t any restrictions on what you can bring inside (again, check the description) a box or bag can also be handy to carry small items as you shop. 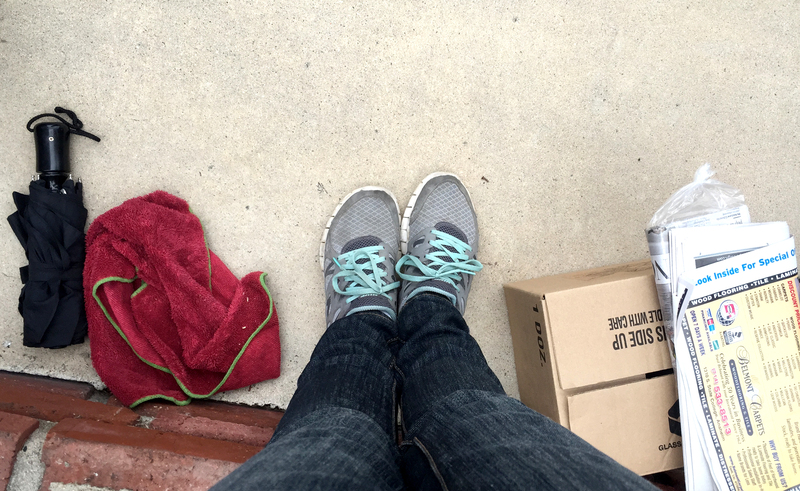 An umbrella, a box, or 11″ for your feet? Whatever it takes to hold your spot. Get the lay of the land from the pictures in the sale listing. If an item you want is by the fireplace, locate the fireplace from the outside so you know exactly where to go. Or ask the person manning the door where the treasures you seek be hidden. “Which way is the master bedroom?” Time is of the essence, people. No time for dilly dallying! Go in with a wish list but don’t get your heart set on one item. Depending on the competition, it might get snatched up by the first person through the door. Make sure each sale is worth your time by assessing the estate’s style. Look at all the items in the pictures to see if you like the person’s vibe. I can tell pretty quickly if a sale is going to be fruitful from the pictures. I don’t like homes that are too organized. In my experience, the more clutter, the more goodies. Conversely, don’t get overwhelmed by the sale. Know what you are on the look out for, be it Lladro figurines or ornate frames. Are 40 year old panti hose on my list? No? WHY NOT? If you can, recruit a helper. This can either be someone who does or does not want to be there. But extra hands can be crucial, especially if it is a very popular sale. Divide and conquer! If you have a friend with dissimilar taste in estate sales, you can trade off being each other’s wing man. Be polite. Even though estate sales can be intense (to varying degrees depending on where you are), it’s good practice to keep your manners. From the person crowding you in line, to the person camped out in at bookcase full of rare first editions, to the employees of the sale’s organizer. In line, I often ask people what they are looking forward to finding. If they aren’t in competition with the objects of my desire, I keep my eye out while inside. Then if I run into them, I let them know. “I saw some glassware on the dining table.” They might do the same for you. They also might let you in on other upcoming sales nearby. Play waiting game. If you don’t HAVE to have a specific item, it’s worth noting that estate sales usually discount their items as the week goes on. If a sale starts on a Thursday, items might be as much as 75% off by Sunday. If you can’t be there the day the sale starts, it still might be worth dropping by when you can, especially if the pictures speak to you. 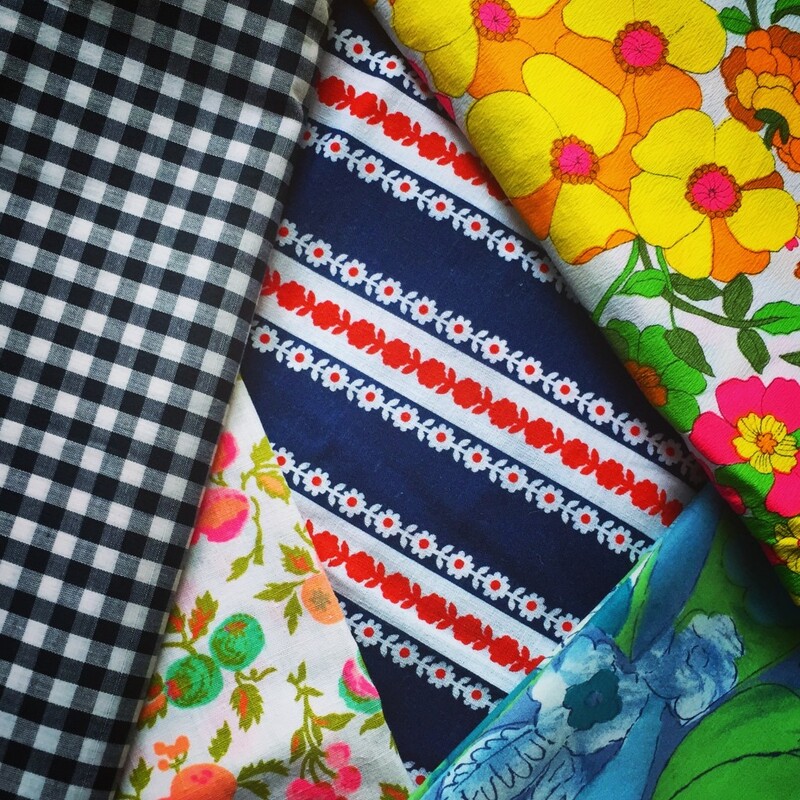 The almighty vintage fabric haul!